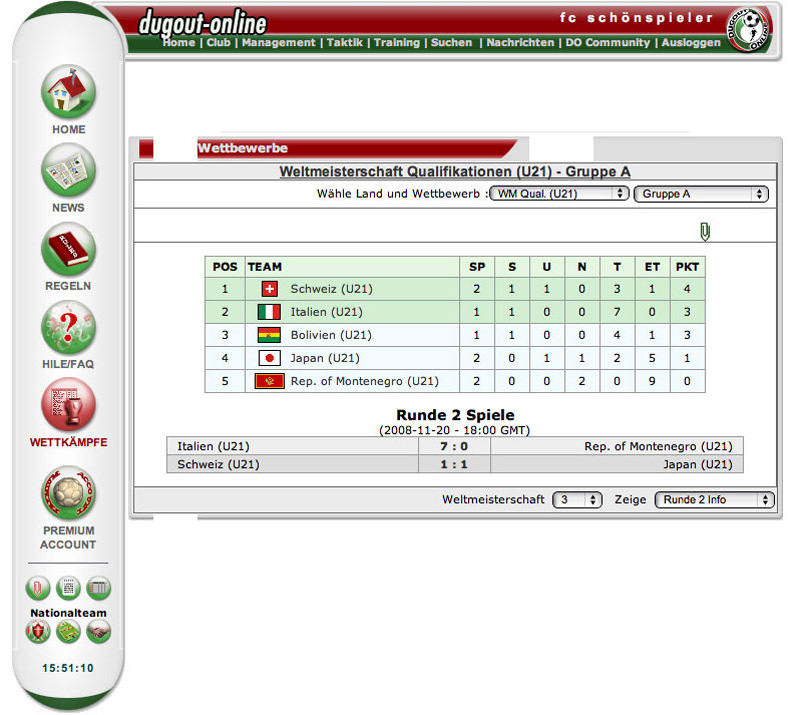 Dugout-Online is a football management game where you take charge of a small and unknown club. Your goal is to bring that club to the top and win the World champions' cup! It won't be easy though, and you'll have to use your management, trading and tactical skills to the best of your ability if you want to stand a chance amongst thousands of other managers from all over the world.